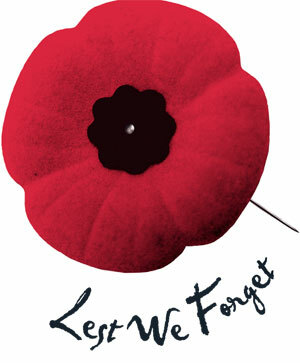 The Town of Osoyoos Council and Staff would like to take the time to honor the Veterans and remember all those who fought and still fight to keep our freedom. Remembrance Day is our opportunity to pay tribute to those who fought for peace and freedom in the world and to pledge that their battles of courage and sacrifice be remembered and carried in our hearts and the hearts of future generations. It is also a time to salute our dedicated peacekeepers serving around the world today and lend our support to their families. Dignitaries will be laying wreaths at the Cenotaph in front of Planning & Development Services at 8711 Main Street directly after the ceremony at the Sonora Community Centre. To mark Remembrance Day, Town Offices will be closed Monday, November 13, 2017.